Where did Ash Wednesday and Lent come from? Are they relics of paganism? No. They are not. The actual history is much more interesting and beneficial. Though the 40 day Lenten Fast was scheduled differently in Jerusalem, it was still the 40 day Lenten Fast. Mordecai's repentance and the repentance of the Jews in exile; Esther 4:1,3 When Mordecai learned all that had happened, he tore his clothes and put on sackcloth and ashes, and went out into the midst of the city. He cried out with a loud and bitter cry. And in every province where the king’s command and decree arrived, there was great mourning among the Jews, with fasting, weeping, and wailing; and many lay in sackcloth and ashes. The Christian Liturgical use of ashes is documented by Tertullian(c. 160 – c. 225). In his On Repentance Ch. 11 Tertullian complains about those who claim repentance but do not want to demean themselves with fasting, sackcloth, and ashes. Eusebius (c. 260- c. 340) records a particular liturgical use of ashes as a sign of public repentance by an individual (Church History Bk5, Ch 28, par. 12). Ash Wednesday was not a uniform practice in the church, but by the late 7th and early 8th century we have strong evidence of uniformity of practice in Western Europe. “On the Wednesday, throughout the whole world, the priests bless, even as it is appointed, clean ashes in church, and afterward lay them upon men's heads, that they may have in mind that they came from earth, and shall again return to dust, even as the Almighty God spake to Adam, after he had sinned against God's command…. I don’t have the library resources available to examine the Lutheran Church Orders of the 15th and 16th centuries. What I have gathered is from the development of liturgical practice in English. The origins of the Book of Common Prayer in England were greatly affected by Luther through the chief author, Archbishop Thomas Cranmer. In turn, during the shift from the German language to English in America, both before World War I and later, the Anglican Book of Common Prayer was a significant resource for the framers of the liturgical practice of English speaking Lutherans from the beginning of the 20th century in America. The Parliament and King Edward VI enacted An Act for Uniformity of Service and Administration of the Sacraments throughout the Realm in 1549. This law mandated the use of the Book of Common Prayer for every citizen of the realm. It also made using other forms or services an act punishable by civil law. Cranmer was not Lutheran, he was Calvinist. By 1552 he had readied a second edition of the Book of Common Prayer which eliminated many liturgical practices and specifically condemned Lutheran teaching on the Sacrament of the Altar. Cranmer’s non-Lutheran but Calvinist Reformed theology embraced what they called the Regulative Principle of Worship: which means that they asserted that anything not explicitly commanded by God for worship is sin. In Cranmer’s view he needed to improve the Book of Common Prayer according to this principle. His first edition was a concession to the weak, but he aimed (in his way of thinking) to eliminate any liturgical teaching or practice that was not explicitly commanded in Scripture. The 1552 edition lasted six months, King Edward VI died of tuberculosis at the age of 15. His half-sister Mary (Bloody Mary) took the throne and re-established Roman Catholicism. She died in 1588, and her half-sister Elizabeth I took the throne. Elizabeth I re-established the Anglican Church and issued a new Book of Common Prayer in 1559. This edition followed the 1552 edition in eliminating any reference to ashes or Ash Wednesday. During the reign of Elizabeth I, Fox’s Book of Martyrs, was published by John Day in 1563. This volume was an anti-Roman Catholic polemical text. Its aim was to demonstrate the historical legitimacy of the Church of England by showcasing the abuses of the Roman Catholic Church and the Papacy. When the 3rd edition (1576) and 4th edition (1583) of Fox’s Book of Martyrs were produced this anti-Rome sentiment had grown more strong. 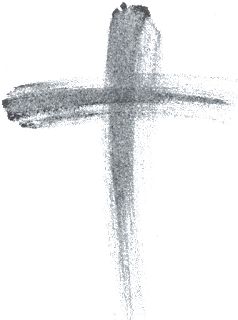 For the English liturgical world, Ash Wednesday was expunged from language and practice. So, what are the supposed pagan origins of Ash Wednesday and Lent? The claim that Ash Wednesday and Lent are based on pagan origins is a relatively new fiction that comes mainly from two different sources. The chief source is the irresponsible work of Alexander Hislop in the mid 1800s and those who followed him; both those who claim to be Christian and those who oppose Christianity. Second main source is the neo-pagan movement today that falsely imagines that paganism is the most ancient of religions and rejects the Bible totally. But, as we have seen above, Lent and Ash Wednesday have no origins in paganism. You will find all kinds of books, articles, videos, and websites on the Internet that claim that Ash Wednesday and Lent are not Biblical because Christ never commanded them. In this way they base their argument upon the Calvinist Regulative Priciple of Worhsip. Their claim is partly true. And Satan likes to use truth to give credibility to his lies. It is true that Christ didn't command any such celebration. 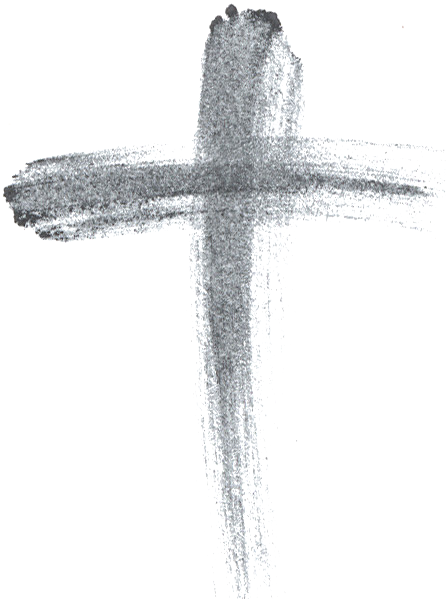 Christ did not command His followers to celebrate Ash Wednesday. Nor did he command that we worship on Sunday. Nor did He command that we sing “Rock of Ages.” Nor did he command that we use chairs or pews when we gather. Nor did he command we use Advent Candles, etc… . The problem with the Regulative Principle is this: If Christ didn't specifically command us to do something, then it is a sin to do it. So, think about how little sense that logic makes. Take this example: Christ did not command that I have my children wash dishes. Is it therefore a sin to have them do so? No. It is very important to remember that the use of the Regulative Principle was the justification Cranmer used to deny what the Scripture actually teaches about the Christ’s presence in the Lord’s Supper. The 40 day fast does not come from the so-called “weeping of Tammuz” as claimed by the radical anti-Roman Catholic writer Alexander Hislop in his book The Two Babylons. Hislop made up myths and connections out of thin air because of his hatred for Roman Catholicism. Hislop's views were adopted whole cloth by many Reformed denominations and others. One should note that these views were wholely embraced by the Jehovah's Witnesses, who continued to republish Hislop's book until 1987. Hislop's book was cited in 22 different issues of the Jehovah's Witnesses periodical The Watchtower from 1950 to 1978, and several times in the 1980s. From 1989 the Jehovah's Witnesses stopped referring to Hislop's book, but they have kept Hislop's teaching and use other sources. Many websites claim that the use of ashes comes from pagan sources. The ironic thing is that these websites cannot get their own stories straight. Some people assert that the ashes and Lent come from Nordic Odin worship, others that they come from pagan Roman cults, others that they come from ancient Hindu religions—and some try to maintain irrational combinations of the above very different imagined sources. We have seen above the reasons the churches gave for using ashes. They were based in Biblical examples of repentance. It might be helpful to think of the use of ashes in comparison to the use of an Advent Wreath. Both are helpful reminders that can be used to focus upon the teaching of God’s Word. This would be a proper use. So we see, first of all, that neither forty day fast of Lent nor the ashes of Ash Wednesday have anything to do with pagan origins. The use of ashes in the Christian faith as a sign of repentance is as old as Job, and probably older. It certainly is the outward act chosen by believers throughout thousands of years, from the earliest times as outward sign to confess unworthiness and sin. No human can require a Christian to use the fast of Lent as a saving work. A congregation can recommend the practice as a serious self-examination of one's own sin and sinful appetites; of one's own weaknesses. This is, indeed, what Luther says, “Fasting and bodily preparation are indeed a fine outward training.” No human can require Christians to use ash on Ash Wednesday or any other day as a way of proving their faith.